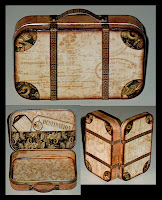 ﻿﻿﻿﻿﻿﻿3 of these were made using Graphic 45's Steampunk Debutant and Tropical Paradise Collections. The 4th one with the sewing design was a gift for my daughters birthday with a gift card to JoAnn's. 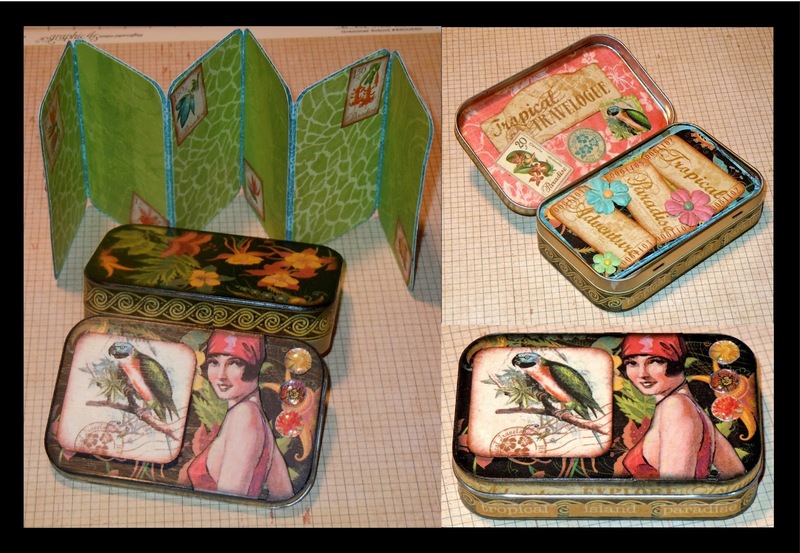 The paper used for that one was from DCWV Mod Retro paper pack and a sheet of Lil' Davis Designs Dot Mint. As well as a dress form rubber stamp from Inkadinkadoo. 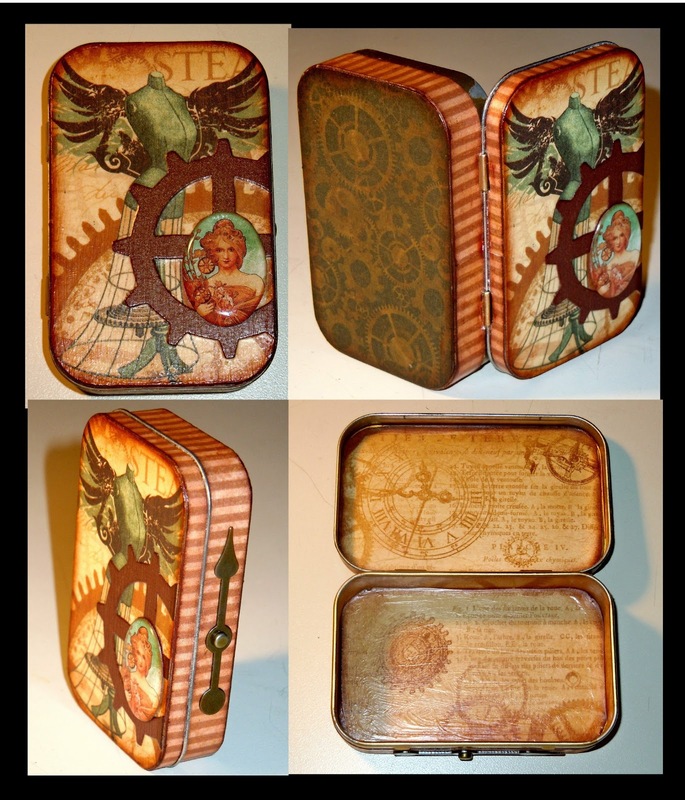 jocelyn, your tins are gorgeous. Love all the different themes that you chose. These are super, I just love them!! Thank you. 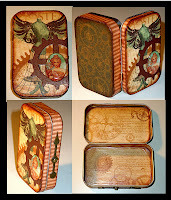 While I've made simpler tins in the past, none of them had the awesome finishing techniques that I learned from a gal who goes by Rackycoo on the Craftster's web site. Here is the link to the tutorial I followed. Jocelyn these are so fabulous. You're amazing! I have started buying mints just for the silly tins!! 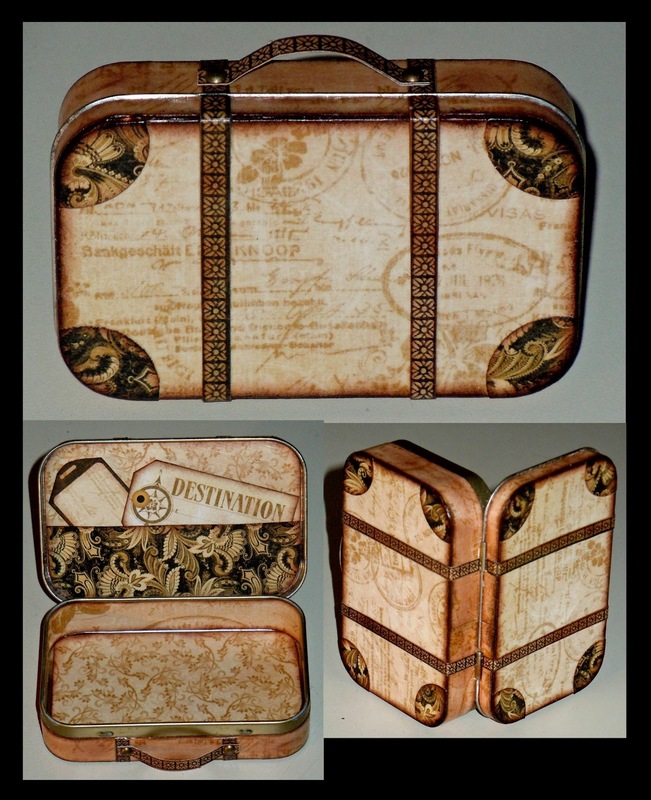 These are all beautiful, the suitcase one would be great to put a mini album of holiday snaps. Thank You! Erin.. 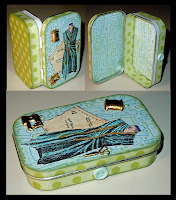 I put a tiny sewing kit in the suitcase one and gave it to a friend going on a crusie. She loved it and the idea. But that's a great idea using it as a vacation mini book tin. You could do one for each vacation. How sad, the tutorial site you gave the link to is no longer available. I hope you copied the tutorial. Hi. Do you sell these? What is the biggest size you have?